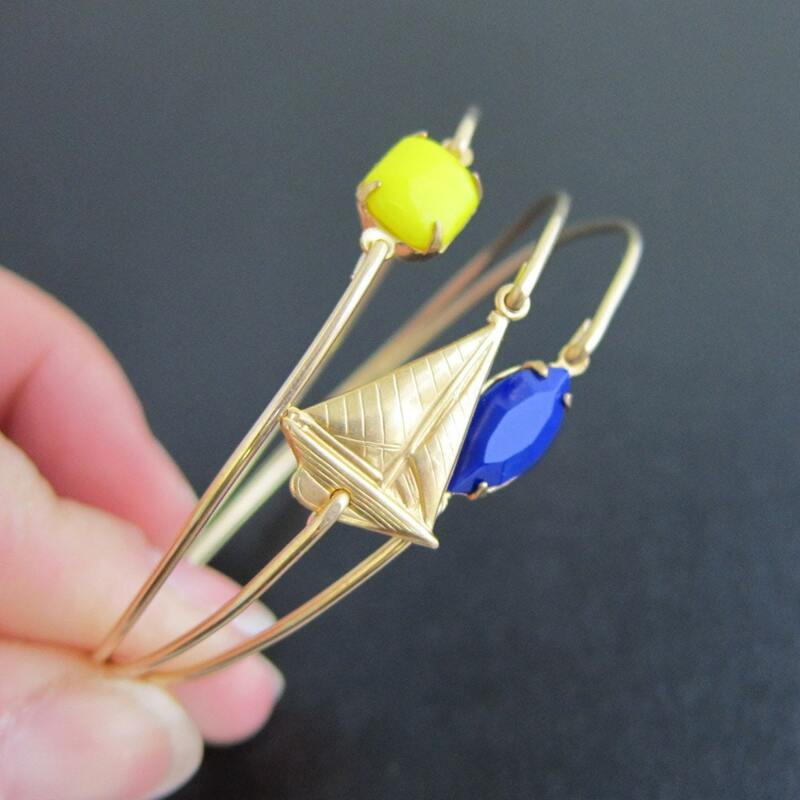 Nautical Sailing Bracelet Set - Ocean Themed Jewelry - 3 Sailor Bracelet Set, Nautical Sailing Jewelry -- This is a new set of Summer bangle bracelets in nautical blue and yellow for those seeking nautical sailing themed jewelry for a sailboat outing, beach day, or naval, maritime or nautical outfit. 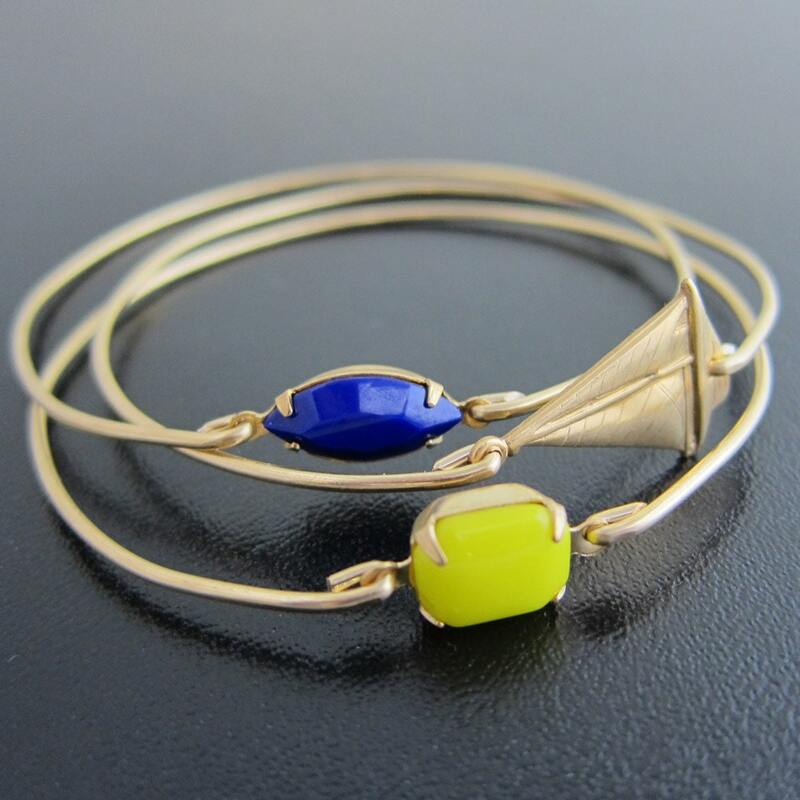 This sailing inspired jewelry set consists of a gold tone brass boat bangle, an oval navy blue stone bangle, plus a yellow stone bangle. All are paired with thin, delicate & dainty gold tone brass bands for lightweight, summertime jewelry wearing. 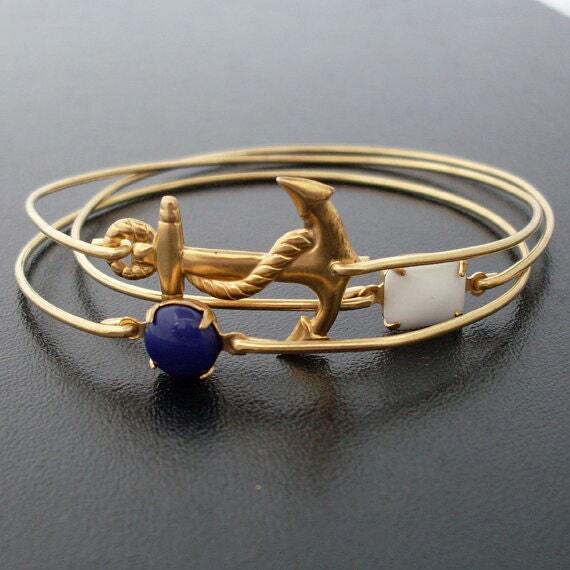 I can make this nautical jewelry, sailing bracelet set with 14k gold filled bangles for an additional $30. If you would like this option for your sailor jewelry set, choose from options when ordering. If you need more nautical bracelet sets than are currently listed as available for a nautical themed wedding for your bridesmaids gifts, please contact me for a custom listing. I love a nautical wedding theme. Please specify SIZE in notes to seller during checkout for your sailboat jewelry. Choose from one of my regular sizes below by measuring one of your favorite bangles, or give me the circumference of the widest part of your hand where the bangle has to be pulled over; then I can size your ocean bangle bracelets for you. All of my bangles are closed and can’t be opened. Therefore, these ocean bracelets have to fit over the hand. 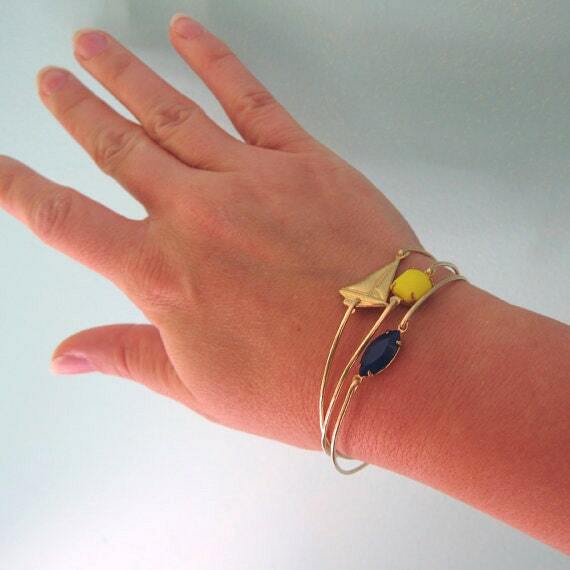 Custom: Specify your size for your nautical color block bracelet set. All of my ocean jewelry pieces are designed and hand crafted with great care and love. All of my jewelry including my boat jewelry are special handmade creations that are original Frosted Willow designs.